Another 40 health practitioners will receive the same training during a second session, which will take place from 30 November to 2 December. 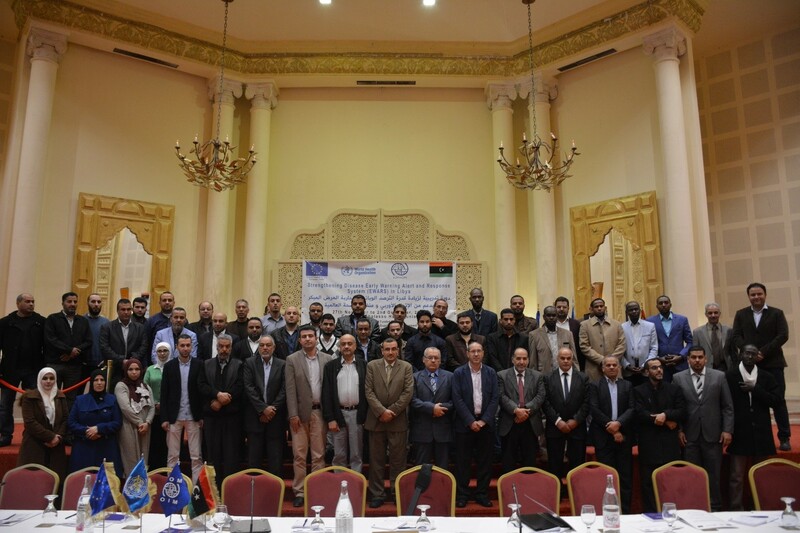 The training falls under the projects Strengthening Health Information System and Medicine Supply Chain Management (SHAMS) implemented by WHO in Libya, and Protecting Vulnerable Migrants and Stabilizing Communities in Libya implemented by IOM. Both projects are funded by the European Union. The two groups of participants are members of rapid response teams and include surveillance officers, laboratory technicians and clinicians. They will be trained on methods for managing possible disease outbreaks of priority communicable diseases. All 87 health trainees will also be provided with Android tablets, and will work to immediately report notifiable diseases as well as communicable diseases which will be reported on a weekly basis. Information gathered on diseases will automatically be saved on a server controlled by the NCDC. The daily notifications and weekly disease reporting from across 23 different sites have been ongoing since February 2016. By October, the reporting sites had increased to 75, and this number is expected to increase to more than one hundred sites by the end of the year. Electronic reporting on EWARS from 13 detention centres will be received on an immediate and weekly basis, a development that is unprecedented in Libya. This reporting will also be expanded to other government recognized detention centres.